Soprano Jennifer Coleman is a diverse performer whose career spans opera, concerts, television, and recitals. She especially enjoys introducing new audiences to classical music. Jennifer graduated with distinction from the Masters and Diploma at the Royal College of Music, London, where she was a Theo Max van der Beugel Scholar. She has released two CDs: Songs of Love, and Simple Gifts. Due to pregnancy, Rebecca had to take a step back from the 2017 York Proms, but will be joining us this year as our headline soprano. Rebecca is a chart-topping York based soprano who made history when her debut chart album 'Dare to Dream' went to number 1 in the Official UK Classical Albums Chart. Rebecca has appeared on BBC Radio 2 (Weekend Wogan, Young Chorister of the Year, The Sunday Show, Sunday Night with Michael Ball, and more), Classic FM, BBC Television (BBC Breakfast, BBC Songs of Praise) plus regional Tv and radio across the UK. In 2015 she toured with Russell Watson for four months, visiting 50 venues and performing to almost 50,000 people. She has performed with Alfie Boe, Aled Jones, Blake, G4 and shared the bill with Collabro, Tom Jones, The Shires, Sam Bailey, and many more. 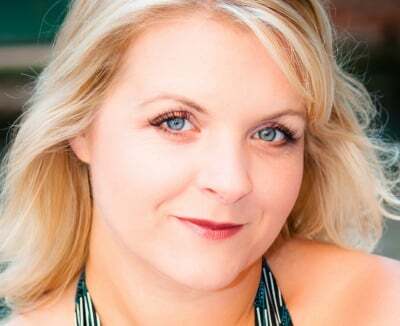 Rebecca has performed as the Headline Soprano for large scale events like Castle Howard Proms and Bedford Proms, plus has performed in front of capacity crowds at sports stadiums around the UK. Rebecca started out as a busker in York in 2005 when she was studying at the University of York so it is very fitting that she should be on stage for the first ever York Proms. With influences varying from Pavarotti to Elvis, Vasili Karpiak started singing at the age of 19. He studied at the international Opera School and went on to perform at many of the world’s most prestigious venues in the UK, France, Monaco, Switzerland, Italy, Sweden, several time for royalty. 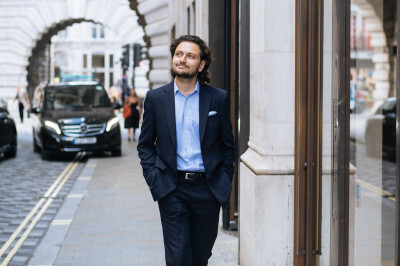 Vasili will be performing a selection of well known and beautiful arias from opera and songs from the shows, as well as joining Rebecca to lead the proms finale, encouraging the flag waving crowd to join in like last year. 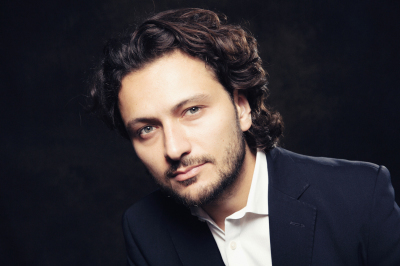 Vasili as an opera singer, has worked with such directors as John Copley (director London Royal Opera House Covent Garden), Jean Claude Auvray ( Grand Opera Paris France), Paul Curan (Los Angeles opera ), Kasper Holton (Principal Director ROH Covent Garden)and many others. Returning for 2018 is Austonley Brass with an expanded ensemble! Austonley Brass boasts some of the most sought after brass musicians and educators in the country. Having performed live or recorded albums and radio & TV broadcasts with some of the UK’s world class musical ensembles and performers including: The Orchestra of Opera North, the BBC Philharmonic, Halle Brass, the Royal variety Performance Orchestra, Andrea Bocelli, Bon Jovi, the Grimethorpe Colliery Band, the Halle Orchestra, the Syd Lawrence Orchestra, McFly, Corrine Bailey-Rae, the Wombats, Elbow, the Black Dyke Mills Band and Dame Shirley Bassey to name a handful. Week in week out the musicians of Austonley Brass perform as freelance musicians and musical educators all over the UK, Europe and even further afield including tours of Argentina, Malaysia, China, Japan, Ireland, Greece, Germany, France, Switzerland, Spain, the USA, Australia and Malta. 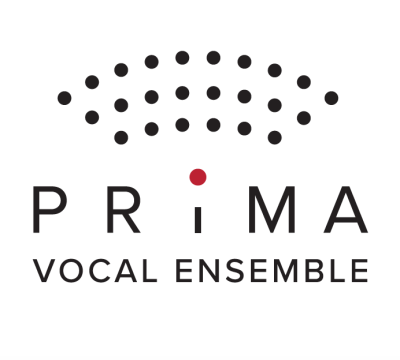 Prima Vocal Ensemble is part of Prima Choral Artists (PCA), a large and successful family of modern choirs founded by Ewa Salecka and Greg Birch in 2009 in York. Since the inception of the organisation PCA have trained hundreds of singers to perform with internationally recognised stars and the very best local artists. 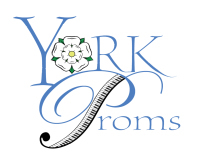 Prima choirs have given performances in venues from Carnegie Hall NYC, London's Cadogan Hall, The Royal Albert Hall and Harrogate Royal Hall to York Minster, York Barbican, Grand Opera House, York Theatre Royal. 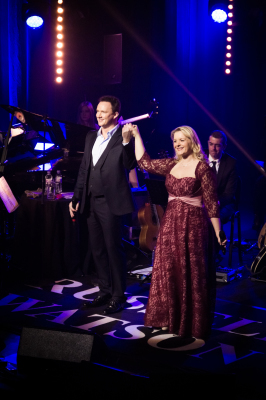 Collaborations have included the Royal Philharmonic Orchestra, The Mowbray Orchestra (musicians of Opera North), the Prima Concert Orchestra, Baltic Neopolis Quartet, Russell Watson, Eduardo Niebla, Sam Bailey and Aled Jones MBE amongst others. Since 2013 they have performed and wowed audiences in Italy, Spain, Poland, Hungary and America. PCA are proud to have been a leading organisation changing the perception, the standard, and indeed the popularity, of community singing in this area. As a result they have personally welcomed to York award winning ensembles from the USA and Europe, professional artists from across the UK and a double Grammy winning composer Christopher Tin. Performance repertoire ranges from large orchestral works to classical and contemporary commercial music concerts. Australian born Daniel has starred in the West End as one of the youngest ever Jean Valjean's in the smash hit musical Les Miserables. He has performed across the UK and Europe, including as Tony in the 50th Anniversary Production of West Side Story and performed alongside Josh Groban, Idina Menzel and Kerry Ellis in Tim Rice's own concert version of Chess at the Royal Albert Hall. 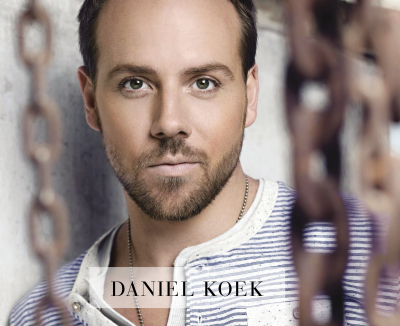 Dan received a Young Achiever’s Award in 2003 and the coveted Young Artist Scholarship Program with the State Opera of South Australia assisting this lyrical tenor on the path to success. After singing a season with the Reis Opera Company of the Netherlands he was subsequently snapped up to perform the lead role in a new work for the National Youth Opera Festival in Amsterdam. We are very excited to be able to invite this international tenor to York for our first York Proms. 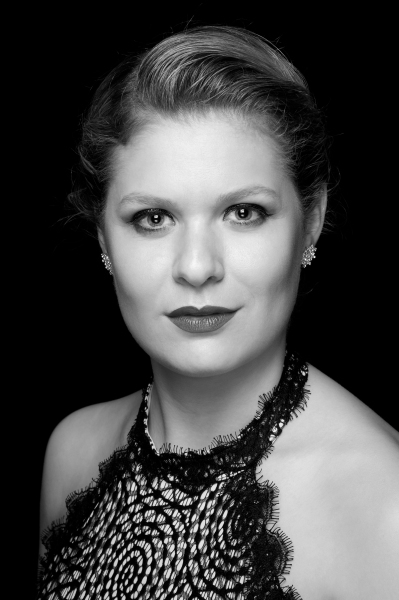 We are thrilled that Natasha Marsh has joined our line up to take over from Rebecca Newman, who will be almost 8 months pregnant by the concert. Statuesque, standing 5’10” in her bare feet with blonde hair cascading down her back, Natasha Marsh dispels the preconceptions we have of opera singers. At 21 she graduated with a first in music and drama, from Birmingham University, and won a coveted scholarship to the Royal College of Music. With many critically acclaimed performances under her belt, and a highly respected soprano within the opera world, Natasha wanted to expand on her experiences and stepped in to the recording studio. She recorded her debut album, ’Amour’, which hit the top of the Classical Chart in week one and has cemented Natasha as one of the most exciting opera exports the UK has celebrated for over a decade. Natasha tours the UK and Europe extensively, performing live at events such as the Carling Cup final at Wembley Stadium, where she sang the National Anthem. She has appeared as special a guest for artists including Il Divo, Jose Carreras, Russell Watson, and most recently mesmerized audiences all over the country with Paul Potts. Natasha glides seamlessly from recording artist to the enchanting opera houses around the world. Due to pregnancy, Rebecca will be taking a smaller singing role this year. Joining the line up is the rich, smokey mezzo Danielle Thomas. One of the biggest names in Liverpool, she can often be seen on televised events in the city. Her first TV performance was on Songs of Praise as a child, alongside Rick Wakeman. ​​​Our guest soloists will be accompanied by some of the best orchestral musicians in the business, who will also perform some orchestral delights from the world of opera, classical and the silver screen. 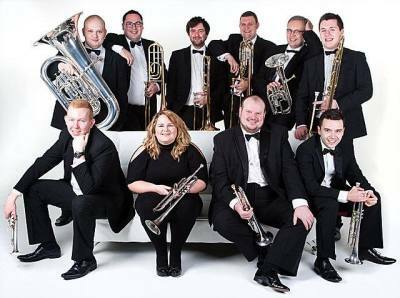 ​​​Adding to the fabulous line up is Austonley Brass.